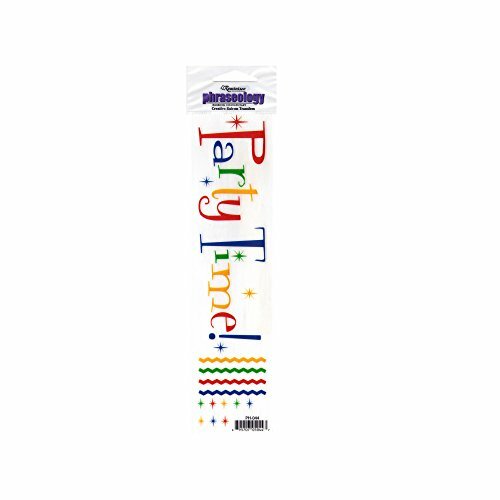 Perfect for scrapbooking, card making or any craft, this fun 8"; x 2"; Party Time Creative Rub-On Transfer features a festive font with stars and zigzag decorations. Includes one sheet of transfers and an applicator stick. Transfers can be used on paper, wood, fabric and other surfaces. Comes packaged in a poly bag with a header card. Package measures approximately 9.25"; x 2.25";.